For advertising rates, call 843-687-4236. April is certainly our favorite time of the year. It’s even better when Easter falls during the sweet spring days of this month. The new life sprouting from all of the trees and plants is, to us, direct proof of Christ and a reminder that He is risen again. This issue we dance around subjects of spring and Easter, and celebrate the faces that help build our local businesses. We hope you enjoy! 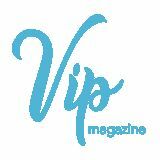 If you’d like your photography featured on Vip’s cover, send your entries to heather@vipmagsc.com! H ope story by Pastor Bill Curtis, Ph.D.
school. She plays basketball, volleyball, runs track, and is an artist. She is in the top 5% of her senior class in terms of academics, earning all A’s. She still frequently attends the Boys & Girls Club, where she participates in the Job Readiness Training program, Junior Staff, and other Boys & Girls Club activities and programs. Bryanna also works at KJ’s Market as a cashier. She has high aspirations for her college career, hoping to attend Claflin Uni ersity, Clemson University, University of South Carolina, Francis Marion University, or Coastal Carolina and earn her degree in computer science so she can pursue a career in computer engineering. Most recently, Bryanna won the 2019 Boys & Girls Clubs of the Pee Dee Youth of the Year competition after she was named the Hemingway Boys & Girls Club Youth of the Year Representative. She will go on to compete in the State Youth of the Year Competition in late April. Staff t the Boys & Girls Clubs of the Pee Dee are honored to have such an accomplished and humble young woman as the organization’s youth representative. Her story is one that shows perseverance and courage. While she has many important decisions to make regarding her future as she nears high school graduation, one thing is certainly clear, Bryanna Williams is a force to be reckoned with, and no matter what she does, her determination and positive attitude will take her far in life. eveningundertheoaks.com. To read more about the DCHS Capital Campaign, visit raisethewoofdchs.org/. Downtown. The two wines I love to pair with pulled pork BBQ are St Cosme Cote du Rhone red and Chateau Trinquevedel Rosé (I know right). Typically, Syrah and pork go great together. The Syrah doesn’t have too high of an alcohol content to make the spice stand out and you can never go wrong with a Rosé for a BBQ or, in general, any outside gathering. Rosé, like Champagne, is a versatile wine and can handle basically any food you throw at it. At Mainstream Boutique we will have Victor’s She Crab shooters served with fresh shrimp. This one wasn’t extremely difficult. I j t had to find a good white to hold up with the body of a She Crab soup. The white I chose is Willm Pinot Gris. This wine came down to two basic thoughts. First, this is an amazing wine that has so much balance to hold up to the heartiness the soup brings. Second, I didn’t have any Pinot Grigio for the whole event. So…it wins by default. The red is an amazing Italian red wine called Amicone Rosso Venento. This wine is made from the same grapes they use for Amarone, Corvina. The result is an easy drinking, full-bodied red that has lots of rich soft, smooth texture. Bhaskar states, “To me, one of the great things about podcasts is the lack of visuals — which requires us to imagine. I develop a comprehensive, moving picture of what is happening. No one is giving it to me.” Podcasts allow us to really dive in. Lastly, a variety of podcast topics and episode lengths are available for all listener preferences. Looking for a certain topic? You’ll find a podca t dedicated to it. Have limited time and only 20 minutes? You’ll likely find a podcast that you can listen to in that time frame. Prefer stories, news, nonfiction, scien e, or politics? You’ll find a podca t that fits. As a li tener, you can go from a student to a sports analyst to an attorney to a crime detective to a friend, and everything in between! A podcast can set you up for continued learning, enjoyment, and even a good laugh. They allow us to take in powerful stories and discussions in which we can connect while stimulating our imagination. It’s time to jump on the podcast bandwagon! 1. Skimm This (News & Politics) In today’s world, context is clarity. "Skimm This" breaks down the most important stories of the day and explains why they matter. All in 10 minutes. Every Monday-Friday. 2. Over My Dead Body (Society & Culture) In “Tally,” the fir t season of OVER MY DEAD BODY, Dan and Wendi are two good-looking attorneys whose wedding is featured in the New York Times. But when this “perfect” couple falls apart, it leads to a bad breakup, a worse divorce, and a murder case involving a menagerie of high-priced lawyers and unexpected co-conspirators. 3. The Joe Rogan Experience (Comedy, Society & Culture) The podcast of Comedian Joe Rogan. 4. The Dropout - ABC News (News & Politics) Money. Romance. Tragedy. Deception. The story of Elizabeth Holmes and Theranos is an unbelievable tale of ambition and fame gone terribly wrong. How did the world's youngest self-made female billionaire lose it all in the blink of an eye? How did the woman once heralded as "the next Steve Jobs" find herself facing criminal charges -- to which she pleaded not guilty -- and up to 20 years in jail? 5. Root of Evil: The True Story of the Hodel Family and the Black Dahlia-TNT/Cadence 13 (Society & Culture) When Elizabeth Short, also known as The Black Dahlia, was brutally killed in 1947, it gripped the entire country. More than 70 years later, it remains America's most infamous unsolved murder. Now, through never-before-heard archival audio and fir ttime interviews, the Hodel family opens up to reveal their shocking story. Within our state, there is no shortage of incredible places to visit. There is however one place that I consider the top of the list and an absolute must, and that would be Charleston, South Carolina. When you visit a place like Charleston, it is hard not to fall in love with its elegant historic charm. Like many of you, growing up with Charleston in your backyard, it will always feel like an extension of home. A quick day trip or a weekend stay always does the trick. It doesnâ&#x20AC;&#x2122;t matter how many times you have been, or if you have even lived there, Charleston will always entice you back to its cobblestone streets. I remember as a child going on many day trips there with my family. Even though I was young, I can still remember how magical it felt. The moment my parents would tell us we were headed to Charleston, I would get as excited as a dog that heard the word walk. Charleston is brimmed with mesmerizing sights and must-sees, and each of its historic places could easily fill up a ew spots on our list of must-see places in South Carolina. Places such as Rainbow Row, or Fort Sumter will always be on the list. However, what I do want to highlight is what I would consider the most iconic, and memorable part of Charlestown - The Charleston Battery. Every time I step foot onto the East Battery and feel the breeze lift off of the Charle ton Harbor, I can almost feel time stand still. As you walk along the shale, you find ourself walking between immaculate historic homes, and the edge of a Sea Wall; all the while, the road is lined with beautifully manicured Palmetto trees. The antebellum homes that overlook the harbor are magnifi ent in their stature and regal in their elegance. One could only dream of owning a home of such grandeur. Something only reserved for the social elite. Nonetheless, being in the mere presence of these homes, you feel slightly aristocratic. As you near the corner of The Battery, you will find a beautiful park filled with b eathtaking moss-draped oak trees and civil war monuments. Some consider this park a part of the battery, but it is formally known as White Point Garden. This park to me serves as the perfect kind of place to have a picnic, read a book, or hang around in your hammock. Not to mention, you can see even more of the breathtaking homes that line South Battery through the trees. Make sure to take a moment and stand still, and look out over the Charleston Harbor. On any given sunny day you may find d zens, or even hundreds of sailboats wrestling with the wind to make their way across the sometimes choppy water. Both Fort Sumter and Fort Moultrie are visible from the battery as well. If you want to make the best out of your trip and are someone who loves history, it is well worth the time to take a ride in one of the cities horse-drawn carriage tours. The tour guide will be able to tell you more about the history of the city than I could ever begin to. You will learn intriguing facts about the historic buildings and homes that make Charleston so important. Charleston is the kind of place that goes with you whenever you leave, and it calls you back when the weather gets warm. So this spring, as the weather begins to warm up, make sure to take a day trip down and visit Charleston. Youâ&#x20AC;&#x2122;re sure to find something n w to discover each time you visit the Holy City. Pee Dee Land Trust’s 13th Annual Oyster Roast was held at historic Beneventum Plantation in Georgetown along the scenic Black River. The majestic oak grove made the perfect setting for 400 of PDLT’s supporters to gather and enjoy live music, hot oysters and wonderful fellowship making it the largest event to date. PDLT would like to give a special thank you to Janet and Buddy Brand for hosting the oyster roast at such a beautiful and significant l cation, as well as the generous sponsors who helped make the event a huge success. the Appellate Bench both for his opinions as well as his prodigious workload. As the confirm tion process unfolded, opposition began developing. Like Clement Haynsworth’s failed nomination 40 years later, most of the opposition came from organized labor. West Virginia is one of the states which make up the Fourth Circuit and Judge Parker had written several opinions regarding West Virginia coal mines which the labor unions objected to. The NAACP also opposed Parker’s nomination once the quote from the Governor’s race was discovered. Just prior to the Senate’s vote on the nomination, the NAACP sent letters to every Senator up for election that year threatening to actively oppose them if the Senator voted to confirm arker. Judge Parker’s nomination was defeated in a 41 to 39 vote. Judge Parker continued to serve on the Fourth Circuit Bench until his death on March 17, 1958. He upheld New Deal legislation and struck down racially discriminatory zoning ordinances. He also served as a judge during the Allied Tribunal in Nuremberg following World War II. Those who have studied his opinions note that there was never any evidence of racism in his interpretation and application of the law. His defenders also note that while his early opinions may be considered “anti-union” they were in conformity with existing United States Supreme Court precedent. Have you ever thought about scales, an instrument or machine used for weighing? Not the scale you use for your morning weigh-in to ensure you haven't gained that extra unwanted pound. I'm referring to the sort of scales that measure almost every item we use in our daily routines. Like the scales that measure the smallest amount of ingredients to complete a heart medication for your loved one or even the scales that eighteen-wheelers drive across to make sure they aren't exceeding the weight capacity of the highway. If you're like me, these scales have always been in the background of your life, only you haven't stopped long enough to admire them and all they do for us on a day to day basis. However, the topic of scales is always on the tip-of-the-tongue or whirling around the minds of employees at Toledo Carolina, known by many locals as Toledo Scales. son Bret began working for the company and by 1998 Bret took over operations. At that time, Toledo Carolina had begun transforming from electro-mechanical to weight data integration to computers which basically means machines could now be run via computers versus a manual switch. Toledo Carolina is an intricate piece of the puzzle that contributes to the success of many local corporations including WestRock, Patheon, Otis Elevators, Fort Bragg, Goodyear Tire and Nucor Steel, just to name a few. The company furnishes these businesses with durable, high-quality scales from 1/10th milligram to 500 tons, with an emphasis on service. "Service is the heart of our business," says Bret. "When a customer calls, we show up within four hours and stay until the project is complete. We try to prove ourselves every day and it helps that the product line we provide ranks number one against its competitors." In addition to being available for service issues and selling scales, Toledo Carolina visits its clients on three- or sixth-month intervals to calibrate the scales to avoid incorrect readings that could cost a business a substantial loss. With medications, for instance, raw materials must be weighed very precisely and accurately. If they aren't, the pharmaceutical company could lose a batch that would cost a significant amount of time and money. A company that is this invested in its business relationships also believes in the power of building a better community. Bret serves and has served on many boards throughout the Pee Dee area. For their 52 years in business, Toledo Carolina has remained a member of the Greater Florence Chamber of Commerce, where Bret and his father Grady have also served on the board. "The Florence Chamber is a great opportunity to network with other businesses and people to build relationships as well as promote the greater Florence area." Toledo Carolina is celebrated this month as the Florence Chamber's business of the month. It's within the Chamber's efforts to make people aware of the businesses that build our community. In this instance, who could have imagined that scales would play such a significant ole for our local industries? Without the expertise and top of the line products provided by Toledo Carolina, many of these industries would have to outsource these services, costing more time and more money. So the next time you notice the "Net. Wt." on your shampoo bottle or ride amongst big rigs on Interstate 95 carrying trees, be aware that Toledo Carolina may have played a small role in making these actions happen! On March 14th, Carolina Bank celebrated its Grand Opening of the Downtown Florence location, at 185 West Evans Street. The day began with a ribbon cutting officially o ening the new site of the headquarters and newest branch. A picnic lunch and tours of the building were given to discuss Carolina Bank’s historic presense in the Pee Dee. Hartsville Chamber Upcoming Events 2019 Self-Defense Course – Learn self-defense from First Sergeant Michael Weatherford of the Hartsville Police Department at the Self-Defense Course on Saturday, April 6 from 8 a.m. to 2:30 p.m. at the TB Thomas Gymnasium. This course is open to women only and has limited registration. 2019 Outlook Series: Healthcare Forum - On April 11, 2019, from 11:30 a.m. – 1 p.m. at Butler Heritage Auditorium, experts in healthcare will present on the outlook of healthcare in the greater Hartsville community. 2019 Doggie Dash 5K - The entire community is invited to join Hartsville Young Professionals for a 5K benefitting yerly Park's Dog Park. This race is aimed to raise $5000 for additions and improvements to the existing area at Byerly Park. This race is dog-friendly! The race will start at 8:00 a.m. on May 4, in front of the Hartsville YMCA. 2019 Taste of Hartsville On May 16, starting at 6:30 p.m. the Greater Hartsville Chamber of Commerce will present the Taste of Hartsville yet again as “Hartaritaville.” This event will be held at Burry Park in Hartsville, SC. Sorry, because libations will be served, no guests under 21 years of age will be admitted. For more information on upcoming chamber events, visit our website www.hartsvillechamber.org, follow us on Facebook and Instagram, or call us at (843) 332-6401.
this one if you have little kids or grandkids and don't want to make a huge mess or stained tables and fingers. Gi e them a pile of different stickers and see what kind of design they create! Gradually increasing the messy level, next up is the Cartoon Creature Eggs. For these eggs, you will need an egg dying kit and an edible black marker. I have found them in a superstore or craft store cake decorating section. If you are using fake eggs, you can use a Sharpie. Set up the dying kit as directed on the box. Then dip the side of the egg into the color of your choice. Just sink it in enough to have an oval shape on one side. (I suggest leaving the dying to the adults for this craft.) Once dipped, rest the eggs dyed side face down across an egg carton, this helps with any dripping and run lines of excess dye. Once dry use the edible black marker to create the features of bunnies, chickens or create your own! The marker is not permanent and quickly came off hands, but if you want to let your kids explore their creativity, I suggest wearing a smock or play clothes because I am not a hundred percent sure if it will come out of clothes. Last but not least is the messiest, and I think the coolest egg, the Tye Dye Egg. Warning, this one did leave my hands a fun shade of purple until I took a scrub brush to them aggressively. But I think the results are worth it! For this craft, you will need a plain white paper napkin (not towel but an actual napkin that you can unfold into a large thin piece of paper), rubber band, and liquid food coloring. Unfold the napkin and place the egg in the center then bring up the sides of the napkin and enclose the egg within by wrapping a rubber band around the excess napkin. Make sure the paper isn't too taut or the rubber band too tight so that the egg doesn't crack under pressure, plus it makes it easier to remove later. Hold this excess napkin and drop food coloring onto the napkin in a random pattern to cover the egg. One drop goes a long way so be careful. I suggest leaving some white space between different colors to see the magical tye dye effect of them blending. Set aside the tye dye egg contraption for at least fi e minutes to have the colors blend, then carefully cut the rubber band and remove the paper and let the egg dry the rest of the way. What's on My Radar? Kalmia Gardens plant sale in Hartsville South Carolina, April 6th, find plants an garden art by the local volunteer gardeners raising money to maintain the extensive landmark gardens. If you can't make it to the sale, you should come out and see what's blooming! Southern'spirations is expanding to the retail marketplace! Find art and home decor created by the Southern'spirations team along with curated pieces to bring a little joy to your home and spark your creativity! 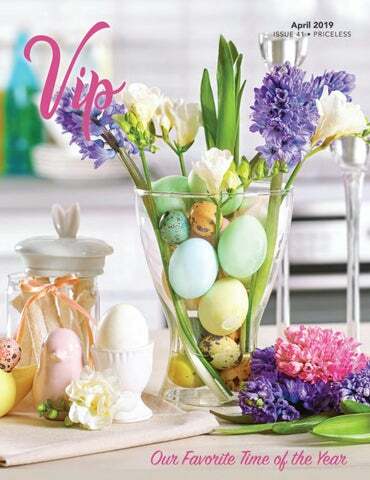 Starting April 1st, find us in booth 23 t Fleur De Lis, near Hartsville. ArtFields in Lake City April 26th-30th, celebrate and discover the talented artist of the Southeast while exploring all Lake City has to offer! Currently residing in Hartsville, Rebecca Giese enjoys exploring the Pee Dee area, shopping local artisans, trying new restaurants, and finding inspi ation from the history and culture surrounding her. When not out on an adventure, sheâ&#x20AC;&#x2122;s telling stories on her blog, Southernâ&#x20AC;&#x2122;spirations. Just because school is closed for a week doesn’t mean that your kids have to stop learning or get bored. This year make your time off mo e enjoyable by skipping the stress of packing, airport lines, and road trip meltdowns. You can take a Spring Break Staycation right here in the Pee Dee area! We will help you investigate some events and attractions close to home with a handful of great ideas! When kids are able to create and learn new skills, it helps boost their self-confiden e. Science experiments, cooking, baking, knitting, and building. Whatever it may be, you may already have the tools you need at home. Check out some tutorials, templates, or recipes on Pinterest and enjoy working on a new project for the week. Even adults can take on a new project! You can even check out Artbug Studio, Seersucker Gypsy, Girls University, or Olio Studio for some art class events. Volunteer Instead of wasting time binging Netflix sh ws, do something life-changing and impactful. You can serve your local community in many different ways. Visit your local humane society and help walk dogs or help build homes with Habitat for Humanity. Research volunteer opportunities near you and make the most of your time by contributing to something meaningful. Events There are usually great events and camps planned specifically or spring break. Check out social media sites and your local Chamber of Commerce and City websites to find up oming community events. Plan ahead to make the most of your Spring Break Staycation! I promise I will get to the spinach pie, but fir t, I must tell you about the Easter bonnet. Let’s go back about nineteen years. My daughter, Savannah, was one year old and Easter was quickly approaching. On Good Friday, we noticed Savannah didn’t have her Easter outfit. Being th t this was a serious problem, my wife Jackie and I immediately went shopping. This was an all-day affair. Traveling to different stores, we spent hour after hour shuffling t ough different outfits. e drove from Florence to Georgetown, exploring different outlets. Our intentions were to shop for Savannah but there were so many gifts and antique stores that we simply had to explore. After strolling on the boardwalk in Georgetown, we ate at a cute little cafe right on the water. We enjoyed each other’s company, talked about a lot of nothing and decided the fun was in the journey. Time passed by so quickly. We eventually made our way to Charleston. To our next adventure we went! With more selections to choose from, Jackie became focused on Easter bonnets. Then out of nowhere, a simple white bonnet with a light pink ribbon and bow was happily purchased from a small boutique. With the Easter bonnet purchase complete, Jackie now has a new, clear, focused direction on the dress idea. “There is a dress that this very bonnet would look great with at a shop in Georgetown,” she said. With no time to spare, we were off, back to the cute little dress shop for the very dress that our new bonnet needed. The dress was bought, and Savannah’s Easter attire was completed. This day holds many of my favorite memories. Now, how does an Easter bonnet remind me of Tuscan Spinach Pie? It was that same Good Friday of this adventure when I heard a radio interview with Francine Segan, a food historian and author. She shared the story and recipe for Tuscany’s sweet spinach pie. I soon after discovered the fun in making this dish. It looks great and is quite delicious. I was so intrigued with the radio interview that I now make this pie as an Easter treat for my friends and family. Savannah doesn’t wear the bonnet anymore though, but she does enjoy the Spinach Pie. Get more from Doug Smith by following him on Facebook and Instagram at "Doug the Food Guy". This month we return to your local network station, ABC, to dive into a new addictive series - Bless This Mess. This Easter, search for new recipe traditions! What’s All The Hype About? Newlyweds Rio and Mike make the decision to change the course of their life together and move from the relentless pace of big city New York to what they think will be a more relaxed existence in rural Nebraska. After dropping everything --including their jobs and an overbearing mother-in-law -- to make the move from skyscrapers to farmhouses, they soon realize that the simpler life isn't as easy as they had planned. Rio and Mike must now learn how to weather the storm as they are faced with unexpected challenges in their new lives as farmers. The series premiere of Bless This Mess airs TUESDAY APRIL 16 9:30|8:30c on ABC. When the world turns yellow, you know allergy season is here. Ironically, the pine pollen that coats cars, lawns, and everything else, is not typically the culprit of the itchy eyes, sneezes, coughs, and general misery that allergy and asthma sufferers endure each spring. However, there are dozens of trees, grasses, and weeds that pollenate our air at the same time as the sticky, grainy, yellow pollen that blankets most of our region. It is these pollens that are the microscopic irritants that invade our respiratory system and turn a beautiful spring into more than just a headache. “Pollen can be carried great distances though the air, and being that pollen is very fin , it is easily inhaled as it comes in contact with our respiratory tract which includes the nose, mouth and nasal passageways,” said Dr. Krista Kozacki, a primary care physician at the HopeHealth Medical Plaza in Florence. They invade our airways and our body reacts by releasing a chemical called histamine. Histamine is part of the body’s defense system and works to remove allergens from the areas affected. “The job of the histamine is to help the body get rid of whatever is bothering it. In this case the trigger is an allergen or “pollen,” she added. ALLERGY SYMPTOMS Nasal Congestion: Histamine create inflamm tion in your nose causing swelling and congestion. This can result in trouble breathing, especially when lying down. Congestion is often one of the fir t allergy symptoms to appear. If that area is your nose, for example, the histamine makes your body produce more mucus to fil er the allergens and prevent them from getting into your airway. So the pollen is the trigger, but the body’s histamine response to eliminate or remove the trigger is what causes the nasal stuffin s, runny nose, and the itching of the eyes and nose, Dr. Kozacki explained. “Our immune system is beginning the battle against the pollen.” The severity of allergy symptoms varies. They can be mild, causing a few sniffles, chy eyes, and a little discomfort. They can be debilitating, with severe reactions such as rashes, hives, low blood pressure, breathing trouble, asthma attacks, and even death. Allergens especially impact those with asthma or other upper respiratory conditions and can cause an increase in asthma symptoms. Asthma is the leading chronic disease in children, and, according to the Asthma and Allergy Foundation of America, more than 11.5 million people with asthma, including nearly 3 million children, had one or more asthma episodes or attacks in 2015. Recent statistics indicate that 53% of children with asthma will have an attack per year. Runny Nose: Mucus in your nose is normal, but histamine reactions to an allergen can increase mucus production and cause a runny nose. Sneezing: Sneezing helps remove irritants such as pollen and mold spores from your nose. Itchy nose and eyes: An itchy nose or itchy or watery eyes is histamine at work! ALLERGY TREATMENT Avoid the Triggers: One of the best ways to treat allergies is to simply minimize exposure to them when possible. • wear a protective mask when gardening or doing yard work • use HEPA (high-efficie y particulate air) fil ers in air conditioners to trap pollen spores and change them often • wash your hair before going to bed to avoid pollen transfer to your pillowcase • Pay attention to pollen accounts: counts are typically higher on hot, windy, sunny days and lower on cool days without much wind TREATMENT Your primary care doctor or allergist can recommend a variety of medications to improve your seasonal allergies. Some, including many approved for children, are available over-the-counter from your pharmacist. Options include: • Saline nose spray - can be used throughout the day to help flus out pollen triggers in the nasal passageway. • Eye drops - can help itchy eyes. • Topical nasal sprays - these contain prescription medications called corticosteroids that help reduce the inflamm tion in the lining of the nose and are typically used daily during allergy season. • Oral antihistamines - available over the counter in generic (loratadine) and name-brand versions. Check with your primary care provider to make sure the medication will not interfere with other medical conditions that you have. Be aware that over-thecounter allergy options often include a decongestant that may elevate blood pressure and heart rate. • Immunotherapy (allergy shots) - tiny amounts of the allergen are injected over time to stimulate the immune system. When it comes to makeup, this year's look of choice is BOLD, BOLD, BOLD! Bold lips and even bolder eye makeup ruled the runways. The most colorful effects were created with an eye shadow. There were pops of pigmented neon, magenta, pink, turquoise, yellow and electric blue! Also popular were ultra-glamorous natural makeup looks using soft neutrals and bronze shimmers with a bold cranberry, red or hot pink lip. Let’s be honest, we wouldn’t even consider walking out of the door with most of these makeup runway trends on our face, but here are some revised “anyone can wear these trends” looks. you’ve selected a color that is your natural skin tone for optimal results. For best results, get a color match! Next, apply concealer properly (see Do’s) and bronze and/or contour. Add a pop of highlighting for that “glow.” Peachy or pale pink blush and a neutral lip will finish our natural glowing look. Now, set your makeup with a setting powder or setting spray. SKINCARE But fir t, skincare. Always the #1 trend any and all years! Fresh, vibrant, exfoliated, and hydrated skin guarantees the best makeup application! You should most defini ely be taking the best care of your skin at any age anyway. I promise you’ll thank yourself in years to come! Cleansing, toning, exfoliating, treating, and moisturizing should be a daily ritual. Throw in some weekly masks for that extra glowing skin! GO BOLD! Now for the FUN STUFF. If you’re going to go bold on your lips, then keep your eyes neutral with pops of shimmer! Select your boldest hot pink or red lipstick, put on that mascara and girl you’re already following the spring/summer trend! I am probably not going to put on a neon eyeliner or eyelid color - but DO YOU! Rock it if you have it! Electric blue/purple eyeliner or hot pink eyeshadow (use your blush) is a super fun way to ensure a bold eye. Keep your lips neutral and you’ve just gotten another spring trend down! Spring 23 19 Makeup Trends and How You Can Wear These Looks! MAKEUP DO'S! • Purchase good quality makeup and invest in great tools (brushes and sponges) and keep them clean!!! • Get a professional color match for your foundation. • Apply concealer in a V shape well below eye issues including dark under eye circles and baggy eyes. • Fill in your eyebrows! It really makes a big difference and frames your face. • Always, always, always wash off our makeup and have an evening skin care routine. Pee Dee Coalition Against Domestic and Sexual Assault is a non-profit volunteer organization dedicated to the reduction of sexual assault, family violence, and child abuse and to the needs of its victims. April is Sexual Assault Awareness Month and Child Abuse Prevention Month. This April and all year long, Pee Dee Coalition is dedicated to helping the region become a safer, more compassionate community. Emily Ross, LPC, CACI, Florence County Trauma Counselor for Pee Dee Coalition, has seen a lot of survivors of abuse and sexual assault in her almost 10 years as a counselor. She has seen some amazing transformations in women. Ross says that if you are victim of abuse or assault, just remember “you are the expert of your own life.” No one can tell you how to heal, but if you are searching for a place to start with your journey to healing, please see the below tips and ideas to a better tomorrow.